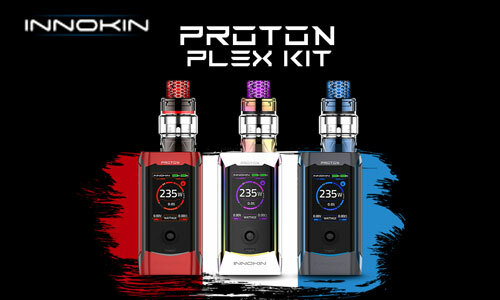 ADVKEN Owl Mesh Sub-Ohm Tank is a 24mm diameter mesh atomizer that can use a multitude of coil heads ranging from the SMOK TFV8 Baby Beast to the Vaporesso NRG Replacement Coil Head. 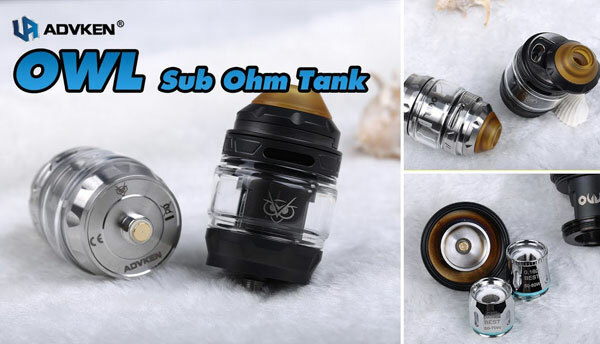 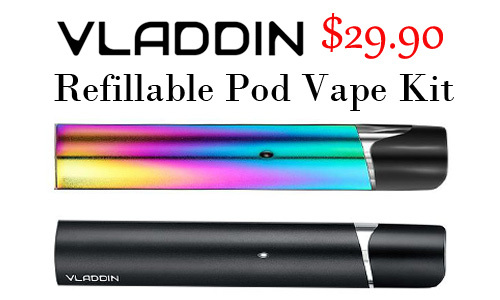 Advken Owl Mesh Sub-Ohm Tank is an innovative tank, utilizing a superior stainless steel chassis construction, sliding top refill and airflow control system, and accepts coils from the Advken Mesh Coil Line. 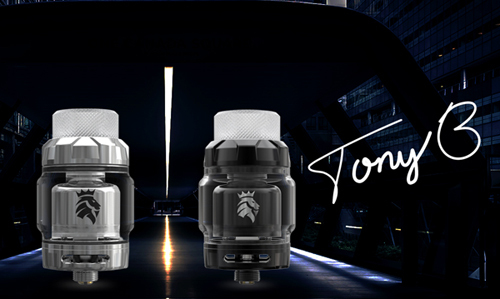 The Owl Mesh Sub-Ohm Tank is formed from superior stainless steel chassis construction and features pyrex glass reinforcement to protect the 3mL straight or 4mL bubble glass options. 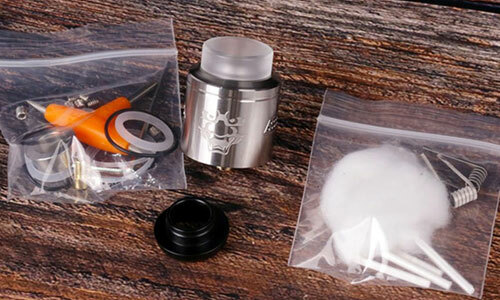 Filling the Owl Mesh Sub-Ohm Tank is easy by locating the triangle located on the top and pushing it open, located under is a single kidney sized fill port. 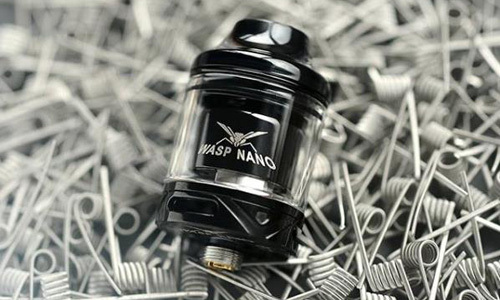 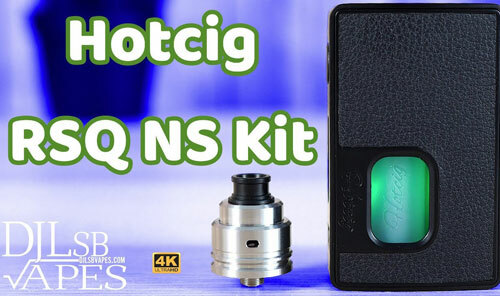 Included with the Owl are two mesh coil heads— the 0.2 ohm mesh coil is recommended to be used at 50 to 70W (pre-installed) while the 0.16 ohm mesh coil is recommended at 60 to 80W. 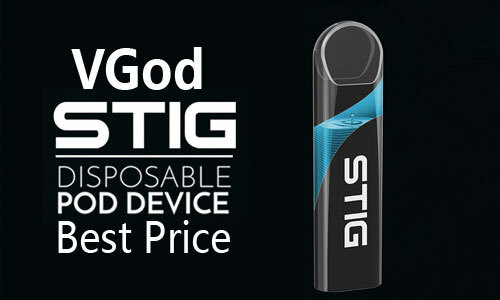 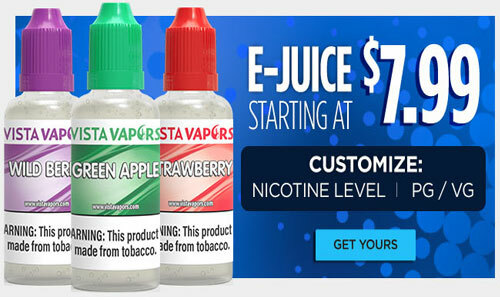 These coils maintain a better contact with the juice laden cotton, evenly heating up for a more consistent vaporization of eJuices. 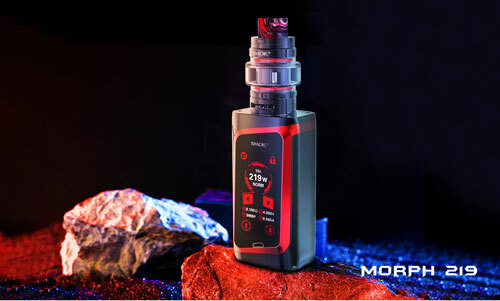 Moreover, Advken Owl is also compatible with TFV8 Baby Beast Coil Head, TFV8 Big Baby Beast Coil Head, TFV12 Baby Prince Coil Head, and finally the Vaporesso Tank Replacement Coil Head(Hellvape Hellbeast tank also can be compatible with those coils). 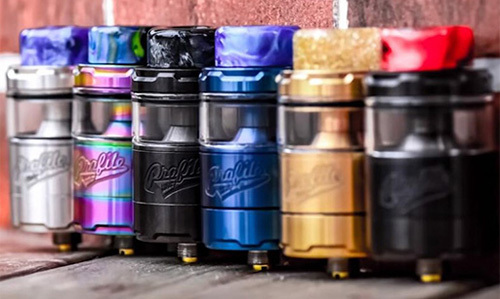 Located on the top of the Owl Mesh Sub-Ohm Tank is the Airflow Control Ring along with dual airflow slots measuring at 11mm by 3mm. 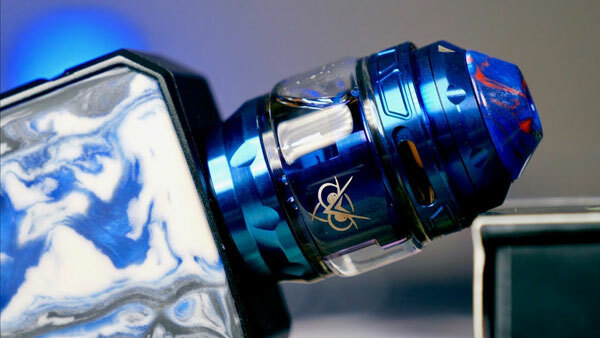 To fill the respective glass tanks, the Owl is possesses a sliding top refill system, revealing a single bean shaped fill port. 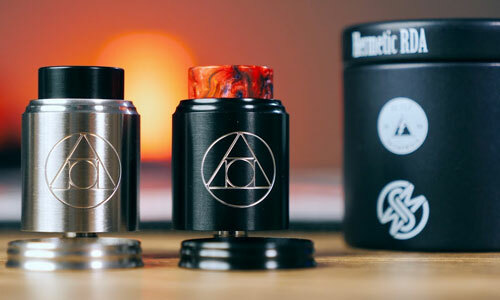 The top airflow control ring is dual slotted and knurled for easy manipulation to select the proper airflow. 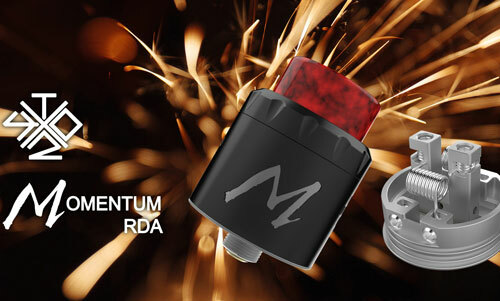 Furthermore, the Advken Owl Mesh Sub-Ohm tank utilizes coils from their mesh coil line, accepting a 0.16ohm or 0.2ohm mesh coil.